Sony uses Skyline Communications technology as the orchestration engine in its Live Element Orchestrator. “Sony has driven rapid global adoption of its IP Live Production System including system cameras, video switchers and servers with IP capability as well as the development of the IP Live System Manager,” said Masakazu Murata, GM, Media Solution Business Division at Sony. “As a result, Sony has already proven itself to more than 50 OB trucks/studio systems around the world. 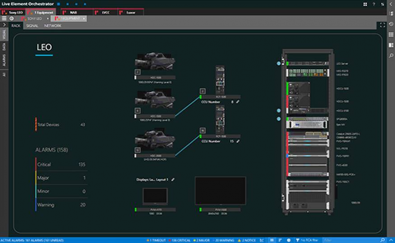 Our first-ever Live Element Orchestrator performs the overall system management of an IP-based production system including third-party solutions. In this development, Skyline’s DataMiner was adopted as a core technology.